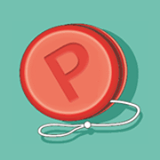 Tens of thousands of pre-roll creatives at your fingertips, with sound and the sites they're on. Play them to get a grasp on a brand's creative strategy, and dive into the data to understand where the video is delivered. Moat Pro gives you unprecedented insight into the rapidly growing ecosystem of video ads. Visualize current and historical direct and programmatic relationships among br..
Sizmek brings together the technology, intelligence, and strategic service you want to create inspiring advertising everywhere and drive exponential performance. Sizmek brings freedom of choice to end-to-end advertising, combining the best technology, intelligence, and services that you deem most important. Sizmek brings together the technology, intelligence, and strategic service you want..
Ranked #2 in the 2014 Forbes list of “Most Promising Companies” and winner of the “Top Innovator in Advertising Data” award at the 2014 DataWeek Conference, Airpush is on a mission to redefine mobile advertising. More than 150,000 apps and the world’s leading advertisers rely on Airpush to deliver the industry’s highest performance, driven by exceptional ad form..
El Toro is changing the way online advertising can be measured. We target real people in real households, which means our focus is on Return on Investment (ROI), NOT Click Through Rate (CTR). While our average CTR is nearly 3x the industry standard, with our match-back analysis, we can provide 100% accurate conversion data, all without the use of tracking pixels, form fills, and call tracking. 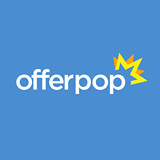 (Bu..
Offerpop's Visual UGC Marketing SaaS platform empowers brands to encourage and leverage user generated content at every stage of the buyer journey, improving marketing performance. Leading brands and agencies use Offerpop’s Visual UGC platform to create campaigns and promotions from a library of templates to inspire the creation of quality UGC, manage and leverage UGC across marketing c..
You know those TV screens you see installed in more & more public areas like stores, restaurants, above gas pumps, food menu boards & lots of other places. Well, that’s called Digital Signage. Build an amazing presentation on your PC and push it to unlimited number of remote screens, and all for FREE. So click on Get Started, open your FREE account & start u..
Tealium is the leader in real-time unified marketing solutions, helping brands seamlessly integrate their siloed applications and data, and drive more profitable interactions across all digital touch points. 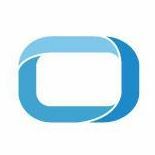 Tealium’s open platform for tag management and data enrichment enables marketers to bring order to chaos and build better customer experiences. Founded in 2008, Tealium was recently nam.. 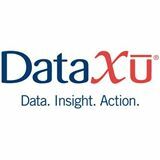 In 2009, DataXu was founded on the premise that data science could help make marketing better. Not just more efficient for agencies or more profitable for brands, but also more personalized and more engaging for consumers. Our vision of helping marketers truly understand how marketing investments cause sales and profitable customer relationships is now a reality. And we’re pro..
Our vision is a world where every business, large or small, can easily and effectively personalize its marketing. Our simple but powerful online tools give marketers everything they need to gather visitor data and use it to power advertising campaigns that show the right ad to the right person at the right time. And we want it to be easy. Building a business is hard enough. 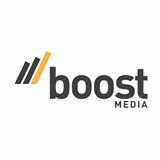 When it ..
As we started Boost Media over 4 years ago we set out to empower advertisers with a way to provide rich, personalized creative at scale. For years there have been incredible investments into technology platforms to focus on optimizing keywords and bids. Yet at the heart of these, campaign creative had simply been an afterthought, executed through Dynamic Keyword Insertion (DKI), ad templates and o..
InMobi enables consumers to discover new products and services by providing contextual and personalized ad experiences on mobile devices. Through its revolutionary advertising and discovery platform, app developers, merchants and brands can engage mobile consumers globally. 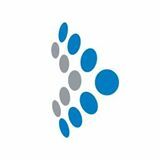 Recognized by Fast Company as one amongst the Most Innovative Companies in the world for 2016, InMobi reaches over 1.5+ billi..
Amobee is a global marketing technology company serving the world’s leading brands, agencies and publishers. Amobee’s patented Brand Intelligence technology measures digital engagement to provide a deeper understanding of audiences, their mindset and interests. 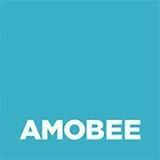 Amobee’s unified platform enables marketers to seamlessly plan and activate cross-channel, programmatic media campaigns ..